The 17th annual sustainability report released by Procter & Gamble (P&G) indicates that the company has made significant progress in achieving its long term sustainability goals. SPOKANE : The 17th annual sustainability report released by Procter & Gamble (P&G) indicates that the company has made significant progress in achieving its long term sustainability goals. According to the 2015 P&G Sustainability Report, the company has reported significant increase in usage of post-consumer resin in packaging. A total of 29,200 tons of recycled resins were used during the fiscal year 2014-’15, which is higher by over 12% when compared with the usage levels reported in 2010. The leading consumer goods company aims to lift the usage level to 57,320 tons by 2020. The usage of recycled resin was concentrated more in North American region during the fiscal. Along with plans to boost usage of post-consumer resin in North America, the company also plans to develop new capacities to use recycled plastic in other regions of the world. 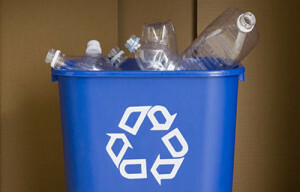 It has already announced plans to increasingly use recycled plastic in fabric care and home care containers in Europe. The report also states that 85% of P&G’s packaging was considered recyclable during the fiscal. The sustainability report also notes that the company has reduced its energy usage by 15% during the fiscal. Since 2010, P&G has reduced their absolute greenhouse gas emissions by 4%. The company has also exceeded its goal by reducing water usage by nearly 21%. Also, 68 sites, which accounts for nearly 50% of the company’s manufacturing sites, have attained zero manufacturing waste to landfill. The company aims to power all its plants with 100% renewable energy by 2020. In addition, it also intends to use 100% renewable or recycled materials for all products and packaging. The other major goals include having zero consumer and manufacturing waste going to landfills and designing consumer products by conserving maximum resources.